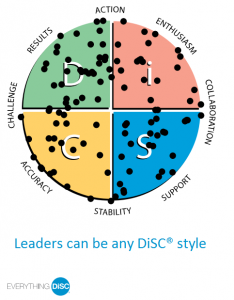 I’ve taken a lot of DISC profiles and all the Everything DiSC profiles. I’ve learned something from all of them, even if it was only that the free ones frequently get my style wrong. There are several profiles available and its common for people to need a little help deciding which one might be best. If you want to talk over options give DiSCProfile.com a call at (877) 344-8612 to discuss your specific needs. But I hope this article will help most readers. 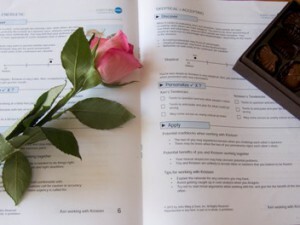 Why are you taking a personality assessment? Before you begin evaluating profiles you first need to know what you want to accomplish. What problem or issue are you trying to address? I recommend Everything DiSC Workplace. 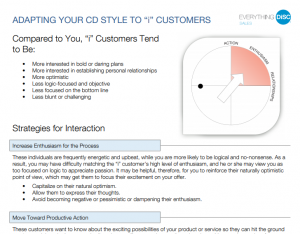 It will give you a clear overview of your style along with insights about your strengths and where you need to stretch. The assessment doesn’t take long and uses adaptive testing to get the best results. It’s a trusted instrument and popular with coaches and trainers because it’s easily understood, personalized, and has been validated through rigorous studies. If you’re looking for career guidance, I recommend an interest inventory or an assessment designed for this purpose. However, Everything DiSC Workplace will give you a great answer for the “tell me about yourself” question sometimes posed by interviewers. It will also give you insight into the environment where it’s easier for you to work, but it won’t tell you if you’ll enjoy a particular job or industry. If you’re looking for a 360 review tool, then I suggest using Everything DiSC 363 for Leaders. Team retreats are popular in many organization and a great time to introduce or return to discussion about how best to communicate and work with each other. Again, I recommend Everything DiSC Workplace. Teams can share their profiles and gain insights into each other’s priorities, their motivations, and ways of working. 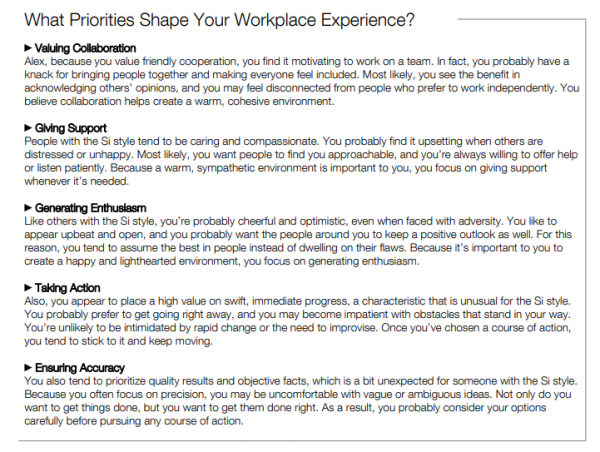 The Workplace profile devotes four pages specifically to strategies to increase your effectiveness with each style, as well as additional pages about each style. There are also many other products available to team trainers and managers. If you have real problems on the team, I suggest using The Five Behaviors of a Cohesive Team which has a DiSC assessment built in. 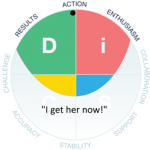 It works best after a team has been introduced to the DISC model or has already taken Everything DiSC Workplace. It then moves on to explore issues of trust, conflict, accountability, commitment and getting results. Also available is Everything DiSC Productive Conflict. It is not, however, a conflict management tool. It’s a tool to help individuals learn to engage in conflict more productively. It’s very focused on one’s own responses to conflict and won’t directly address issues around trust or accountability like Five Behaviors of a Cohesive Team does. I’ve spoken with several organizational trainers or HR staff who have used Everything DiSC Workplace for onboarding. All their staff have taken the assessment, know their styles, and perhaps have a Workplace Style Guide posted in their work spaces. Then whenever someone new joins the organization, they are also given the assessment and everyone reviews their styles together. It’s also a great opportunity to provide the new person with one-to-one Comparison Reports for each team member. It gives the new employee a quick way to learn more about their new co-workers and receive tips on how best to work with them. If you’re working with new managers, struggling managers or training sales people, there are profiles specific to those two roles. Consider using Everything DiSC Management to help with issues around delegation, motivation, and employee development. Consider using Everything DiSC Sales to help with sales strategies and adapting one’s own style to best meet the priorities and preferences of the customer. This profile is also often used with customer service representatives to help them have more satisfying customer interactions. So much goes into being a great leader and choosing a leadership assessment is particularly challenging. Again, it’s important to know what you want to accomplish. If you want leaders to learn more about themselves and their leadership style, I recommend the Everything DiSC 363 for Leaders. It’s a 360 degree review tool which, of course, requires others to participate in completing. If you don’t want that level of perspective, then I recommend the 8 Dimensions of Leadership book which discusses all the DiSC leadership styles. Since all are really necessary for great leaders, there’s something to be learned from each style. This might work best in a coaching relationship or if a leader has already completed another DiSC assessment. I prefer Everything DiSC Work of Leaders for use with a leadership team, even though it is also used by individuals. Leaders receive tangible steps directed at leading a group or organization. But this assessment also provides a framework around which a leadership team can focus to make real progress in the organization. The profile provides tangible steps leaders can take. Unlike most profiles which value multiple behaviors, this profile proscribes the best behaviors for specific leadership tasks. On a personal note, I think I learned more from this profile than from any other because I learned more about myself and about specifics of leadership. I could better understand why some leaders I’ve worked with have failed, why some succeeded, and how I needed to grow. Concerned about validity and reliability? You don’t want to take an assessment that is no more meaningful than one that tells you which Hogwart’s House you belong to. You certainly don’t want one created simply to capture your name and email address so you can be sold additional products. The DISC model is not covered by copyright so anyone can create a test and call it a DISC profile. You want to be sure that the assessment you take (or offer to others) has real value. Maybe you want to bring a program based on the DISC model into your organization, but aren’t confident about doing it yourself. Should you try it or hire someone? 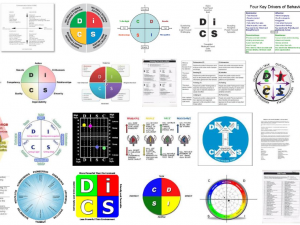 All the Everything DiSC profiles can be administered and facilitated without certification. Trainer kits can help you run a session right away. You can also become certified or get additional DiSC training if you desire. If you want to hire someone, you can find Everything DiSC Authorized Partners through a simple online tool. If you’re not sure about a profile, can you download a sample and take a good look before you buy? 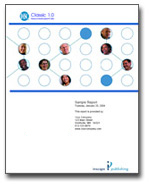 Is the report easily read and engaging? Is the language supportive and informative? Can you imaging people talking about their results with others? Can you build upon what’s learned in the profile? Can you reach a real person if you have questions about administering the profile yourself? Will the profile provide value? 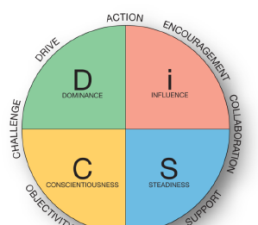 DISC can be a dynamic and effective tool in helping develop self-awareness, communication, teamwork, and understanding. Make sure you’re using the best option.